Grady has his own little playroom in their new home, January, 2016. 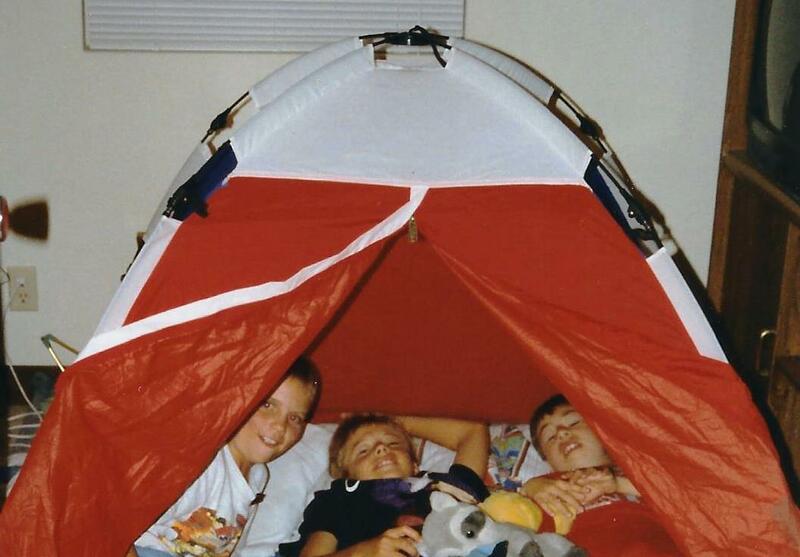 That indoor tent was a favorite of Drew and Matt, many years ago (see below). I really miss the days when people spent more times in one another’s homes. I always feel I know someone much better after I’ve been in their home a few times. It doesn’t really matter to me how large or small the home is, how old or new, or how it’s furnished. What I enjoy is the way each home, like each person, is totally unique. Some of my favorite places to stay have been the smallest and coziest, even when some of what we now think of as essentials were not available. Real estate agents now “stage” homes to make them look basically as if no one lives there. I can understand why they do this; it’s much easier for prospective buyers to imagine themselves living in a place if it starts out with an appealing but bland atmosphere. But as a visitor, it’s much more fun to see a home that has the unmistakable stamp of the people who belong there. In the recent winter storm, I was stuck in Atlanta for a couple of days longer than I had planned to be there. I was anxious to be home and antsy at wondering when the weather would allow it, but best part about that was that I was able to stay with Drew, Megan and Grady in their new (to them) home. They have recently bought a lovely place, several decades old, that had been in the same family all that time until now. I fell in love with the home. What I liked best about it was how unique it was. You could feel a sense of the generations of the family who had owned it, lending a sort of character to the atmosphere. At the same time, it seemed perfect for its new occupants, each of whom is (at least in my eyes) quite exceptional and well suited to such a one-of-a-kind dwelling. Our homes don’t need to be grand, stylish or even consistently neat to be welcoming and appealing. What’s most important is that they reflect who we are; our interests, our priorities, our joys. Some of us are private people for whom home is a retreat, with visitors rarely present; others of us love to have a steady stream of friends coming and going. Either way, we will be happiest in a home that is comfortable and full of our own personalities. Drew and Matt with their friend Chris in the same tent seen above. How about your home? Does it suit your personality? If we all popped over for a visit, what would we see there that we would not be likely to see elsewhere? Don’t worry, we won’t notice the dust or the piles of yesterday’s mail or laundry that might be lying around. We came to see YOU– and I just know your smiling face will light up the place, whether or not you feel as if it’s ready for prime time. Sheila, your home sounds like just my kind of place (even without the ocean view 😉 ) and I do so hope to see it one day, but those virtual visits are wonderful in the meantime. BTW that March Verandah must have been specially ordered by the mood fairy– be still my heart! and is it my imagination, or do I see a tiny glimpse of a path at the bottom of that lovely staircase down? Jeff always turns the calendar over before I get downstairs, and when I first saw March I did a double-take and smiled with happiness. Of course they are all so pretty, it would be impossible to choose which I’d rather own, so it’s just as well to visit in my imagination whenever I want! 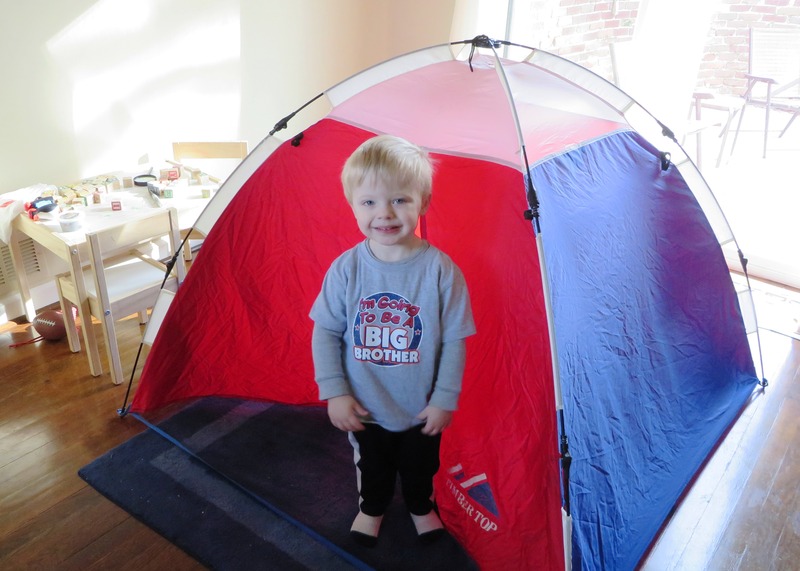 Love the pic of Grady and your boys in the same tent. How cute! Come on over for a visit. I guess what you would notice is my rock and crystal collection. I love rocks!!! I gave away most of them through the years, but still have a few left. In all our travels I have kept only one thing. Them!! Haha! Say no more! I’m there. 😀 Love to you too! 🙂 ❤ Yes it is! This house is the first Stephen and I have owned and it is still a work in progress for me. I am never confident that what I do will look good so I tend to do nothing. I really do need to just get brave and get some painting and window treatments done. I love the tent for the boys. I once discovered a tear on the underside of a couch we had and turned it up on it’s back to sew it up. It took me couple of days to get it done to my satisfaction in the meantime Kat and Aaron had a great time making forts and conducting puppet shows. They really were disappointed when I turned it back the proper way. I am sure Grady will have as much fun as his daddy and uncle did. I do think a home is a great place to get to know someone and of course I am always delighted to discover that some of friends are not Susie Homemaker and they have clutter and dishes too. 🙂 I love to look through my friends book cases or movie collections to see if our taste are similar and if they have something I need to borrow. I mostly love to be in my friends home or have them in mine for the sheer pleasure of their company. Please come on over, my home is yours. Make yourself comfortable and have a cup of tea or even some ice cream. Amy, after Wrecker (who of course will always be the #1 draw for me, except for his human family members) that ice cream parlor takes the cake, but the movie theater isn’t too bad either. Ice cream season is fast approaching. Sometime in the near future perhaps we shall have ice cream and a film or two. If you can get me to stop talking long enough, that is. I don’t think you need to do ANYTHING to your home – I think it is beautiful as it is, so nice and new. I have decided that window treatments are overrated, beyond some light filtering cellular shades that are easy to open all the way. Why distract from the lovely views? Handy that not doing window treatments is so easy and inexpensive, too, hee-hee. Not owning homes sort of goes with the military life, but I was thinking you guys owned one briefly in Colorado Springs? Though I don’t think I ever saw it in person. It was years later that I ran into you in Colorado while doing a temporary waitressing gig at Cracker Barrel – HA! that will always be one of my very favorite memories. Yes, I totally love snooping through friends’ bookshelves, in case you hadn’t noticed that at least half a dozen times. BTW I still have at least one of your books that I will return to you eventually. I love the idea of Kat and Aaron playing with the upturned sofa. Kids can make fun out of almost any situation. It’s a skill we need to hang onto into adulthood. When we were kids, whenever we used to stay in a hotel we would get totally excited about the little soaps and shampoo bottles. Daddy once laughed to see us, and shook his head and said “it takes so little to make my goofy kids happy” but he said it very proudly. Every time I go to a Cracker Barrel I think of that night. What fun it was. I still love the soaps from hotels. HAHA. Love the new name but let’s keep it just for us. Wrecker loves for you to visit anytime. I will come up one day soon so keep the clean mug ready. I love that you don’t throw anything anyway! It’s so fun that Grady’s room is decorated with things that used to be Drew’s and Matt’s and several of his favorite toys are ones that Drew and Matt played with too (the ViewMaster is an ongoing hit!). Watching your yard unfold is one of the great joys of owning a home such as the one you bought. I told Drew that it looks to me as if you’ll have color nearly year-round with just what is planted there already, and you can tinker with it as you see fit. Of course I’m glad you have lots of my favorite flower (Jeff brought me some daffodils to the hospital the morning after Drew was born and I still have some of them, pressed 🙂 ) but I saw evidence of plenty of other flowering shrubs and bulbs. Take your time, enjoy it and don’t rush. Think of it as a hobby and don’t worry too much about the neighbors’ expectations – there isn’t anything in your yard that should be troublesome to them (especially since the honeysuckle vines do not border neighbors on either side, and I don’t think there’s any way they will invade the golf course). I’m glad you are happy with having the old used vintage toys around for Grady. The nice thing is that you can pitch them if you want and you won’t be out any money. 😀 Somewhere Drew has a box full of Ninja Turtles put away. I’m not sure whether he took those with him yet or not. I’ve never been the type of person that needs fancy furnishings. I tend to be nomadic the past few decades because of finances so I’ve been paring down my possessions to what I feel are the bare necessities. Having a roomy comfortable bed with good linens, blanket and pillow is paramount. Comfort is a top priority. I don’t care if something is new or if I must make it myself but it must be comfortable or it’s useless and gets trashed. I find I live a spartan lifestyle now that I’ve accepted that I will always be alone, no visitors. I stopped buying stuff for phantom guests that never arrive. Bob, I think you’re very wise to emphasize the things you mention. Jeff and I always made it a point not to pinch pennies on anything having to do with a good night’s sleep. The older I get, the more important comfort is to me, in furnishings as well as clothes. I agree about the “phantom guests.” I have come to see that it’s a poor use of space to keep a guest room available unless it is used for other things most of the time. For some reason, people just don’t seem to visit the way they used to, and when they do, they tend to stay in hotels. I guess it’s just the affluence of our culture. I was reading the journals of a friend who grew up in the 1960’s and his mention of frequent overnight guests reminded me of how it was when I was a kid and we had visiting friends stay with us overnight a lot of the time. We loved it as kids when we got to sleep on the floor so the adult “company” could use our beds. But I don’t know anyone who has many overnight guests anymore. Just one more way life has changed in recent decades. If you came to my house you would know immediately that we are ‘dog’ people! Dog beds in several rooms, dog hair everywhere, an XL doggie door to fenced backyard, photos of dogs past & present, and our two big dogs, Solomon and Bentley! Hey Ann, don’t be surprised if I come knocking at your door when I’m in need of some “doggie therapy.” Your home sounds like my kind of place! I’m happy to hear that Bentley and Solomon are still holding down the fort. Anyone who loves dogs is an instant friend in my book! It’s going to be brief today as I’m on my tablet while traveling . . Loved the photos of the boys in the tent. So cozy, as any home should be . Mine, as of yet doesn’t have my personality in it. My son has some of his furniture in there and my sister left some behind until she wants it again . All of my home is very eclectic but all are welcome . Till I get home again , giant hugs. Alys, it took me no time at all to realize I really needed to get one of those keyboard cases for my larger Nook. I love it. The only problem is that I often forget to turn it off (mine has a separate on/off switch) which means that I’ll open it next time and find myself without keyboard or plug. 😀 Luckily, it is easy to pull off for charging as it’s magnetized to the case cover. Have keyboard, will write! Oh, good for you! Yes, mine has one charger for the tablet and the cover. I keep a small easel in the living area and Mike and I take turns charging our tablets there. It works out well. That does sound like a good system. I set up a “charging station” for Jeff and me at each home, using a wall charger for anything that takes a micro USB cord, and it’s been very handy. I did not realize until I read it just recently, that a wall charger works much more quickly than one that attaches to a USB device. I’ve been paying attention since then and found it definitely has been true in our case, particularly in the car. A USB plug charges my cell phone much more slowly than one that plugs directly into the auxiliary (aka cigarette lighter) power slot. I’m not sure why, nor even if it’s always true. But it seems so for us. The wall chargers are faster, aren’t they? I don’t often charge my phone in the car, but good to know that as well. Yes, they are. I was a bit disappointed as I had just installed USB wall outlets in a couple of different rooms so I could use USB cords to charge. But at least now I know not to use them if I’m in a big hurry. Alys, I LOVE Thing One and Thing Two! My sister gave me a mug that features them, and it’s the one I drink out of every day that we are in York County. Julia, that is soooooo cool. What fun, too. Here’s a photo I made just for you. Now that I think about it, that looks a lot like Boomdee and me when we were running madly around DC almost a year ago. They must have been my inspiration. Oh delightful! Thank you, Julia. Thank you so much, Alys. I’ll check it out. I was so frustrated trying to answer comments as everything kept disappearing. I was reluctant to take the laptop for just a few days not knowing if I could get on the internet at my friends. I got your card today. 🙂 Thanks you. I’m home finally. It’s fun to visit but always nice to come home. You’re welcome, Marlene. I found my tablet next to useless till I got the cover/keyboard combo. Now I love it. It’s also free of any financial data unlike my laptop, so traveling with it is less stressful too: lighter and less data to lose..or have hacked. Welcome home. And yes, fun to visit, great to come home. Who doesn’t love a good tent?! What fun to see your sons and grandson all having a good time in the same one, years apart. Our home is eclectic, too, and modern. That surprises people for some reason. I guess I come across as more traditional. I love clean lines, open spaces, and lots of light. I hope you’ll visit one day, Julia. Oh, I hope so too, Alys! I am not surprised to hear your description of your home, but maybe that’s because I got accustomed to that being the style of most California homes we knew of. It fits the lifestyle there, where people seemed (to me) to place less emphasis on embellishment of indoor spaces, and more emphasis on outdoors, parks, community and public spaces– which makes sense, with lovely weather year-round. In downtown areas one usually could find at least a few lovely restored Victorian and other historic homes, but most of us in the suburbs in newer homes went for the practical and open feel of more contemporary designs. I think simplicity in design will become the new tradition. Lovely idea that tent. We build one with blanket and chairs but we have a pop up beach shelter, why didn’t I ever think of that! My home is adorned with family pictures, paintings of Victorian homes and various knick knacks. I love them so and that is why while I am packing to leave and some of these treasures will be in storage I leave my living room pictures until last so it feels like home while I prepare to leave. I will be at dads for a period of time but I look forward to getting my things back where I can see them. B, that’s a fun memory for me — we used to build tents with chairs and blankets too, and for a really great space-extending effect, we would place a box fan at one end to blow the whole thing up a bit. When manufactured toys are more scarce, imagination is more active, I think. Your mention of packing some of your much-loved things away for awhile reminded me of an idea I’ve often considered. I long to simplify my space, but don’t want to part with many of my belongings (especially books) so I’ve considered packing lots of things away — well labeled, of course — and rotating them by season or even annually. Not only would that open up some space, but it would be fun to see things I hadn’t seen in awhile. 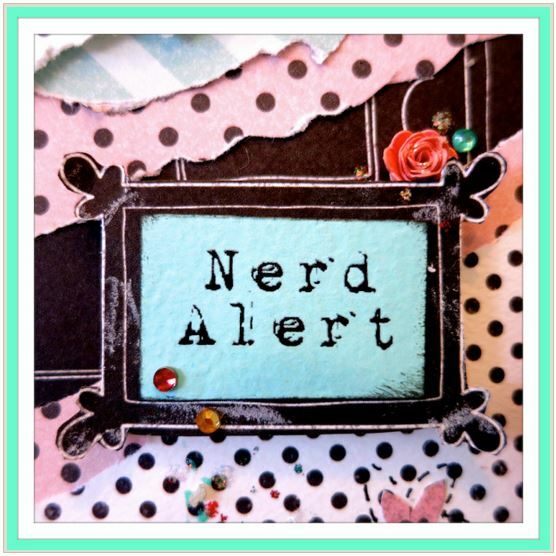 To go even more out into left field daydreams, I’ve often thought it would be nice to have a group of like-minded folks form sort of lending co-op for things such as holiday decor, table linens, china, artwork and other such things. But I digress…I hope you will have a really fun time when you are re-united with some of your things that are currently being stored. That lucky little tyke! Who get’s to use the same tent their dad used as a boy? Mr Grady, that’s who. K, Owen Ramon Denton is expected to arrive in May. I have already started calling him my little Fire Monkey (since he will be born in the Fire Monkey year just like his MeMe and whoever else is 60 this year). We loved making tents when we were kids, too. We used to use a big box fan and card tables to really add square footage. Weren’t we lucky? I think so! I love my memories of roaming the neighborhood with all the other kids, playing hide and seek and red rover and croquet and all sorts of things. I wouldn’t trade that for all the video games and DVDs and computers and cell phones in the world! Did you ever play Hopscotch (using rocks to scratch out the squares on the concrete or asphalt)? When I see the neighborhood kids and their sidewalk chalk, I am envious. We never had any colored chalk to use anywhere, let alone on the concrete. Only Mary Poppins’ friends had that! 😀 Speaking of jump ropes, did you ever do the “I like coffee, I like tea, I like for Boomdee to jump in with me” rhyme? Then whoever got named would have to jump in without the rope slowing down. I have fun memories of so many games such as jacks, Red Rover, 1-2-3-Redlight…Still, though, in most ways it’s more fun to be an adult. Hope you are having a blissful weekend. Wow, what luck to have your own hopscotch court. In my vocabulary, a tarmac was where planes landed and took off. We did have some basketball courts here and there. We never did the rubber ball/pantyhose thing, but we did play a lot of tetherball; in fact, we even had a tetherball set in our backyard, which was a favorite with a lot of kids in the neighborhood. I have memories of Dr. Kildare coming on TV (Richard Chamberlain) and Ben Casey too (“Man, woman, birth, death, infinity”) but never heard that version of Take me out to the ballgame. Obviously Kildare was considered better looking, or maybe it was just his connection with your school name. Grady sings a more traditional version of the baseball song, as you can see here in this video that was made last month. It is fun how much we share despite coming from distant places. I guess some things are fairly universal. Omgosh Julia ! Young Grady is just so dang smart. I’m not saying that to be nice, even though I’m usually extremely nice, LOL. How many kids his age know all the words to this kind of song? And ace the melody too? Thanks for sharing too. He always has on really cute outfits. Even the jammies are cute. K, I’m so glad you like Grady’ jammies. Jeff looked all over creation for them when he found out Grady was obsessed with construction vehicles, and after much searching, he found the perfect sleeper to give Grady. I just love the way he looks in it, and especially knowing that his PaPa gave him that sweet gift of love chosen just for him. That’s so dear of Jeff to search near and far for the perfect Jams, yes, a gift of love. Wow, you have me pegged — track was the ONLY P.E. subject in which I ever made easy A’s (though I also did pretty good with field hockey, and loved it). I loved all the track events except the throwing ones. I do remember that I loved the cooperation of relays. I remember how the coaches taught us to start running before the person with the baton reached us, so that it could be passed without any slowing up at all. If our school had had a women’s track team (unheard of in my day) I might have tried out. Thanks for offering to cheer me on. Isn’t it great what a difference that can make? I hope all of the organization of kids’ sports have not ruined it for youngsters. I shudder when I read some of the news stories about parents fighting over a kid’s ball game. You were lucky to have a father who understood the benefits of developing athletic skills. I sometimes wish I had tried a bit harder to participate, but it’s tough to keep showing up to spend time on something one is NOT good at. I wonder if an athlete even hears much of that cheering. It’s been years and years, but I think, for me, I remember it got really quiet just before the gun. Then, bang and it felt for a second like things were in slow motion. As a kid, I had nerves of steal. Now I jump every time Jim comes around the corner, LOL. He calls me Kramer. You don’t watch TV but he was a character on Seinfeld that was pretty jumpy. I do recall, one season, I was the floor hockey leader of one division. My good girlfriend was another team leader. So we’d ride to the games together but play on rival teams. It was no big deal in those days. Now parents make it so, so competitive. The parents scream their brains out in the stands. It’s pretty awful and I think tacky for a parent to smack talk a young boy or girl just because their child is playing against them. I remember it being hard to balance my desire to win with the need to have everyone participate and have fun. But I was probably only 14. I think I was a good team leader. Everyone got in the game and we weren’t the trophy winners. I think if you’re chosen to set an example for others, that comes with the responsibility to teach fairness, good sportsmanship and to be supportive and encouraging. Sports aren’t just about winning, maybe some parents overlook that with their desire to win. I hope parents use sport activities as an opportunity to teach their kids good teams skills too. I agree. I think the real value in any group activity (whether sports or chorus or band or whatever) is learning to work cooperatively. And also, athletic competition does not always involve being better than someone else. I remember a P. E. teacher explaining to me (when I was trying to get out of signing up for gymnastics, which I just knew I would be HORRIBLE at) that I would enjoy it because I would be be competing against myself, not anyone else– that I would be trying to beat my own previous best. She probably realized that I was the pathetic kid nobody wanted on their team, and found a good way to “sell” the course to me. What she said took awhile to make sense to me, but she was right. I did enjoy it and I did much better than I had expected I would. Wouldn’t it be great if we could emphasize that concept in sports; of competing against oneself, not others. That can and should include mastering the tendency to want to show off, beat everybody else etc. I think you are still a good leader. You lead by example. Thanks hon! I’m glad you had an encouraging PE teacher. Everyone has a niche. Gymnastics is so elegant and refined, I bet you excelled. Look at all the great golfers in the World. Not a team sport! Figure skating, also not a team sport. Great idea about how to pick teams. I seem to remember some teachers having us count off into odd and even numbers, and similar tactics. Others had seating charts to discourage cliquish behavior. I’m sure there are those who would argue that such things don’t solve the problem, but I think it’s a cop-out to use criticism as an excuse not to even try. I always adored teachers who seemed sensitive to those who were left out. It’s amazing to contemplate, but some teachers actually tried to be most popular with the popular kids, as if they were stuck in a high school mentality and still wanted to be in the “in” crowd. But I digress…Where my own kids were concerned, I hope they always knew how much I enjoyed almost every aspect of their growing-up years. But I also know I could have shown it a bit more often than I did. No huge regrets, but a few things I might do differently. I guess that’s typical of life as we look back after many decades. Grady is looking huge. How tall is he now? My grandson is a little behind at this point- just turning three and still around 30 pounds. Of course, his mom is tiny. I don’t know how tall Grady is now. At his 2 year old checkup last July the doc said he was on a pace to be at least 6 feet tall like his Dad. His body is finally catching up with that great big head (also like his Dad). Megan is petite so the second grandson may be smaller, too. But you never can tell what will happen when you start mixing genes up. Every kid is totally unique, which is a wonderful thing and really pretty amazing when you get right down to it. As Andrew Solomon wrote in his most recent book, the term “reproduction” is a bit misleading since we don’t re-produce anything, even with cloning. Every person is totally new.